have highly important responsibilities at many organizations, from creating users to managing Google Groups to turning services on and off. And we understand that it’s important for them to perform as many of these functions as possible from anywhere, at any time. That’s why, starting today, we’re granting access to the Google Admin app on Android to all delegated admins (previously, only super admins could use the app). Delegated admins can download the app from the Google Play Store. Once downloaded, those admins will only have access to those features that correspond to their delegated responsibilities. For instance, an admin who does not have permission to manage Google Groups will not see the Groups option in their app. Google recognizes that delegated admins have highly important responsibilities at many organizations, from creating users to managing Google Groups to turning services on and off. And we understand that it’s important for them to perform as many of these functions as possible from anywhere, at any time. 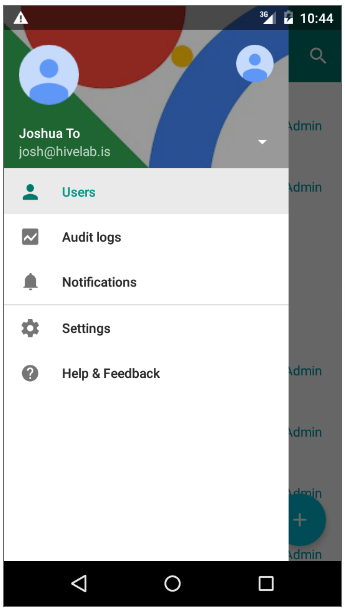 That’s why, starting today, we’re granting access to the Google Admin app on Android to all delegated admins (previously, only super admins could use the app).